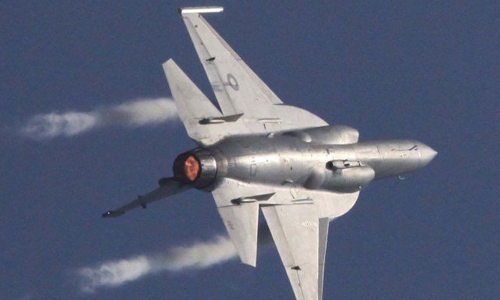 TIRAH VALLEY (92 News) – As many as 12 terrorists were killed and four hideouts destroyed when Pakistan Air Force (PAF) jets pounded militant hideouts in Tirah Valley early on Saturday morning. According to ISPR, militants attacked an army convoy in Laddha area of North Waziristan injuring three security officials. The injured were shifted to CMH Peshawar. Meanwhile, nine terrorists were killed in aerial strikes in Khyber.